about this book: This book had been in my head for years before it was ever written down fully, and I am extremely close to the characters because of this. 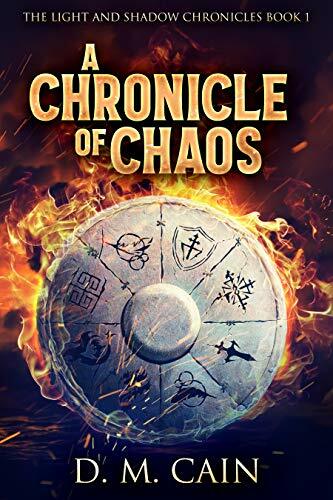 A Chronicle of Chaos is the first in an epic fantasy series that will span hundreds of years. Each novel in this series will tell a different character's story in the overarching war. This first book tells the tale of a young, headstrong warrior named Chaos Lennox. 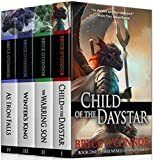 Two armies - The Brotherhood of Shadow and the Children of Light - have been at war for hundreds of years and the conflict shows no signs of ending. Both sides struggle for dominance and begin to recruit people and creatures of immense power to their cause, in the hope of tipping the scales in their favour. Now the Brotherhood have recruited demons to fight for them, and the world is quivering with fear in their wake. He develops an unusual and controversial relationship with the demon, obsessed with defeating him, yet drawn to him all the same. In the end, Chaos must decide what is more important to him: his duty or his desire.